Societies around the globe respond to the contemporary technological and economic change by defining entrepreneurship and innovation as core principles for future competitive advantage. 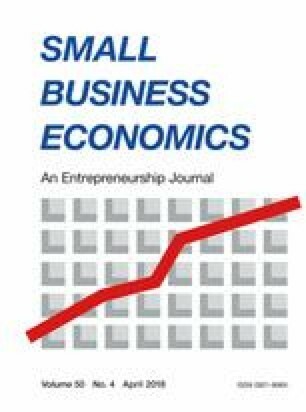 Does this rise of the “entrepreneurial society” also imply that entrepreneurial personalities are becoming increasingly widespread and powerful in political leadership? Joseph A. Schumpeter already argued that highly influential entrepreneurs are unique and show a certain personality pattern that can be described as being not only high in creativity and change orientation but also high in competitiveness and rule-breaking. It is interesting to ask whether such Schumpeterian personalities indeed play an increasingly important role in political leadership, given that daily routines of policy leaders, at least at first glance, usually require rather non-entrepreneurial strategies such as careful, risk-averse diplomacy. To address this question, we first survey the existing literature on personality and political leadership. We further present a novel personality analysis of an influential business leader that recently made a transition to political leadership: Donald J. Trump, the incumbent US president. Employing a language-based, computerized method of analyzing Twitter statements, we compare his online personality to the online personality of other influential entrepreneurs and business managers, who do not engage in political leadership. The results indicate that Trump is indeed distinct in that he shows stronger features of a Schumpeterian personality. However, he is also comparatively high in Neuroticism. We discuss these findings focusing on the potential implications of a concentration of entrepreneurial mindsets in political leadership. Ahmed, K. (2017). Understanding Trump’s narcissism could be the key to opposing him. The Guardian. https://www.theguardian.com/commentisfree/2017/feb/17/donald-trump-narcisissm-mentally-ill-personality. Accessed 26 May 2017. Egan, P. (2011). Before they were elected: presidents as entrepreneurs. Business News Daily. http://www.businessnewsdaily.com/680-presidents-day-entrepreneurs-small-businesses-history.html. Forbes (2014). The new Forbes 400 self-made score: from silver spooners to bootstrappers. https://www.forbes.com/sites/afontevecchia/2014/10/02/the-new-forbes-400-self-made-score-from-silver-spooners-to-boostrappers/#2aff663d2aff. Accessed 26 May 2017. Forbes (2016a). The ups and downs of Donald Trump: three decades on and off the Forbes 400. https://www.forbes.com/sites/jenniferwang/2016/03/24/the-ups-and-downs-of-donald-trump-three-decades-on-and-off-the-forbes-400/#67b880975612. Accessed 26 May 2017. Forbes (2016b). Forbes 400 in 2016: the wealthiest in America. www.forbes.com/forbes-400/. Accessed 20 Apr 2017. Forbes (2016c). America’s richest entrepreneurs under 40 2016. https://www.forbes.com/sites/luisakroll/2016/12/12/americas-richest-entrepreneurs-under-40-2016. Accessed 26 May 2017. Forbes (2017). Forbes profile of Donald Trump. https://www.forbes.com/profile/donald-trump/#. Accessed 26 May 2017. Fortune (2016). Fortune 500 2016. http://beta.fortune.com/fortune500. Accessed 20 Apr 2017. Frances, A. (2017). An eminent psychiatrist demurs on Trump’s mental state. New York Times. https://www.nytimes.com/2017/02/14/opinion/an-eminent-psychiatrist-demurs-on-trumps-mental-state.html?_r=1. Accessed 26 May 2017. Golbeck, J. (2016). Trump psychoanalyzed by artificial intelligence. Psychology Today. https://www.psychologytoday.com/blog/your-online-secrets/201612/trump-psychoanalyzed-artificial-intelligence. Accessed 26 May 2017. Long, H. (2016). Trump organization is now America’s 48th largest private company. CNN, http://money.cnn.com/2016/12/15/investing/trump-organization-48th-largest-private-company/. McAdams, D. P., (2016). The mind of Donald Trump. The Atlantic. https://www.theatlantic.com/magazine/archive/2016/06/the-mind-of-donald-trump/480771/. Accessed 26 May 2017. Sherman, R. (2015). The personality of Donald Trump. https://www.psychologytoday.com/blog/the-situation-lab/201509/the-personality-donald-trump. Accessed 03 July 2017. Walshe, S. (2017). Analysis: Trump’s Twitter use brings risks and rewards. ABC news. http://abcnews.go.com/Politics/analysis-trumps-twitter-brings-risks-rewards/story?id=47066741. Accessed 26 May 2017.